How do we know if we are a true and beloved student of our teacher, the Kabbalist, Rav Berg? How do we know if we are a true student of the path that Rav Ashlag, Rabbi Shimon and all the Kabbalists of this one lineage have laid out for us? How do we know if we are helping to propel this world towards our final redemption or delaying it by our actions as students of the Zohar? In short, how do we know where we are? Is it our degree of loyalty? Let’s think about that for a moment. Loyalty means we might stay loyal to Rav Berg, Karen Berg and to this path for 25-30 years. But does that make us unique? Aren’t their loyal people at IBM and General Motors and other corporations? Of course there are. So does loyalty distinguish a Kabbalah student or Kabbalah teacher from the employees, managers and executives at other major corporations, non-profit organizations or even different religions? You can find the most loyal people among the various ranks of organized crime, like the Mafia, with their code of omertà, which is all about silence and honor among thieves. So we can scratch loyalty from the list. Is the ability to work really, really hard and to work really, really long hours enough to answer those three questions above? I don’t think so. People in business risk everything and they work 24/7. Often, they start at the bottom and endure a penniless existence and horrible living conditions as they work year after year after year before finally achieving great success. Some people work 50 years before finally attaining financial success. And there are activists out there and volunteers who also work around the clock, sacrificing everything to further a cause and to make the world a better place. So does working insanely hard distinguish a Kabbalah student or teacher from all other people as it relates to achieving the ultimate goal, which is the redemption of all mankind and the end of death? So there is no point in being proud of our many long years or all of our hard work on the path of Kabbalah when trying to determine if we are true students of Rav Berg and Karen Berg. No point in speaking about how long we have endured on the path of Kabbalah if we are speaking about the objective of achieving never-ending happiness and immortal existence. What about intelligence? What if we are steeped in the knowledge of Kabbalah, well-versed in the wisdom of the Ten Luminous Emanations of Rav Ashlag. What if we are learned in all the laws of Torah, including all the details about how to faithfully and accurately observe the rigorous path of the precepts? Well, Kabbalist Rav Ashlag is blatantly clear about this (hang onto yourself): Rav Ashlag says that the path of Torah is either the drug of death or the Tree of Life. Wow. That’s a harsh, provocative and deep statement. It’s not how much knowledge that one possesses that determines if the Torah emanates death or radiates life. So what determines if the Torah is life or is death? The answer is coming up. So, we’ve now determined that when we are trying to answer the three questions at the beginning of this article, it’s not how loyal we are. And it’s not how hard we work or how long that we’ve been on this path. And it’s certainly not how much information or knowledge we have about Kabbalah. What separates the men from the boys? What separates the little girls from the true women of valor? If there is one yardstick, if there is one single trait that can prove to us that we are true and beloved students of the Rav, if there is a single characteristic that unquestionably propels ourselves and this world towards our final redemption and the end of death, pain and suffering, then that one trait has to be faultless. Did you get that? The one trait, if its true, has to be perfect and without fault. It cannot be a trait that can be shared and found among gangsters, serial killers, political activists, scientists, religious leaders, or any other person on earth. If the Zohar is going to make the bold claim that it has the power to achieve the impossible dream of paradise on earth, it then has to offer us the one single characteristic that has no equal or parallel among other teachings to the degree that it has on the path of Kabbalah. It must be a trait and a behavioral technique that is not found among the billionaires of Silicon Valley or Wall Street or Drug Cartels or religious people of any kind. Again, most people would naturally assume that loyalty, unrelenting determination, hard work and prolific intelligence should be enough. But it’s not even close, my friends. As we just demonstrated, a pathological serial killer could have the highest IQ imaginable. A hit man could be the most loyal human being on earth when it comes to being steadfast and true to a crime boss. And Doctors without Borders could be the hardest working souls on earth. But none of these groups have the power, nor do they offer us the promise of ending death, uniting mankind and bringing whatever heaven truly is, down to our earth forever. But the Zohar makes that promise. But that promise comes with one condition. We must discover the one trait, the single characteristic and behavior that will lead us directly to the supreme goal. It’s the willingness and determination to lose the ugly ego. It’s the courage to seek out and recognize the Adversary, our ego, in every single situation we are in, and letting all other concerns and goals go by the wayside. Criminals, business leaders, employees and people from all walks of life do not dedicate themselves solely to the eradication of ego. Yes, there are good people in the world who embody good works, true humility and genuine acts of caring and sharing. But I am talking about a path and a people who are endowed with the worst ego and greatest desire to receive on earth, dedicating their entire lives to the eradication of the ego’s influence for the singular purpose of ending death and creating heaven on earth! No path and no person is that laser focused. This is why Kabbalah is the most difficult path to walk. And by the way, when we lose the ego, we are automatically loyal, hard-working and profoundly wise as wisdom emerges with each diminishing of self-interest. After all, disloyalty, laziness and ignorance of genuine truth are consequences and symptoms of ego. This is why the eradication of ego is the most supreme and nobel and powerful pursuit of all. Yet we deny it and fail to do it as soon as times get tough and we are pushed and tested to the very limit. Think about this for a moment before reading onward. I recently gave a lecture to Kabbalah students from all over Europe who gathered for a retreat in Gerona, Spain with Karen Berg and Michael Berg. During one of the meals I sat with someone by the name of David who told me that he was a pilot. David shared a scary story that happened on one of his training flights. One day, while flying with his instructor, their small aircraft hit a terrible storm. The plane began rocking, falling, rising and shaking. David was losing his bearings. All he could see out the windows were thick clouds. No sky, no land, no horizon. After a few more minutes of drastic falling and rocking back and forth and side to side, David was getting vertigo. He was having a difficult time knowing which way was up or down. He broke out in a cold sweat. His instructor kept telling him to stop looking out the front and side windows to get his bearings. It was all gray storm clouds and he still couldn’t see a thing beyond the clouds. Instead, the instructor told David to lock his eyes on the instrument panel and trust it. All the way. That was the key. That was where he could get accurate readings on his speed, position and direction. David said it was the most difficult thing he had ever done because his natural instinct—the survival instinct—was forcing him to look out the windows to see where the hell he was. It was almost impossible, he said, to pull his eyes away. It went against every bone and nerve in his body. Forcing his eyes onto that instrumental panel to get a read on his speed, position and direction, as the plane flung around like a rag doll, was the most daunting behavioral action in the world because he was trusting and putting his life in the hands of the instrument panel readings during these stormy conditions. By keeping his eye on the instrument panel and reading it, he navigated safely out of the storm. I found that story to be deeply profound when relating it to Kabbalah. I’ve been studying Kabbalah for twenty-five years. I have seen students and teachers come and go. Some after a short while. Some after many long years. Some of them worked their tail’s off. Some were like encyclopedias, when it came to knowledge of Kabbalah. And some were the most loyal people you would ever hope to find. But in the end, all those characteristics were not enough. They eventually lost their way when they lost sight of the instrumental panel. Sooner or later, everyone hits a storm on this path and if you take your eyes of the instrument panel to guide you out of the storm, you wind up off the path, lost and gone forever. WHAT’S THE INSTRUMENT PANEL IN KABBALAH? The instrumental panel that holds the secret to our closeness or distance to Rav Berg, and our speed and direction as it relates to the destination of Redemption, is the human ego. The state of our ego and it’s influence over us, tells us how fast we are moving either towards or away from world peace and personal peace. It determines and reveals where we are in terms of position and closeness to our teacher and the direction are we heading — either towards global redemption or away from it. If the ego is being nourished, in obvious ways—or worse, subtle, hidden ways—it means we are far away from the Rav and far away from Redemption. We can work hard till our hands bleed. We can sleep on floors, fly around the world, study after midnight absorbing a ton of knowledge. But make no mistake, if our ego is being nourished, tickled or serviced in any fashion, not only is it all for nothing, but we are emanating, in the words of Rav Ashlag, the force of death into the world. We all have ego. Ego is always present. But can we admit it? And when it’s out of control can we stop it when someone points it out? When it’s a minor case of ego, can we keep one eye on our ego and the other on our work? If we cannot totally and unquestionably admit it’s our ego, and let go of denial, then it is absolutely pure ego. However, if we can admit, 100%, that is our ego and this embarrasses the hell out of us, and humiliates us, then that is considered no ego. Losing ego or strengthening our ego is the sole criteria in each moment we face to determine if we are close or far from the Rav and the end goal. It’s never about who is right and who is wrong, who has more knowledge and who has less. Never. Ever. The issues of right or wrong are important in the business world and the world of crime and the world of academia and science. But never in Kabbalah. That is not the criteria and yardstick for measuring success and the achievement of the goal. That is not how we determine our speed, position and direction on this path. To worry about loyalty or being right and wrong or how smart we are, well, that’s like looking out the window in a raging storm while flying your twin-engine Cessna aircraft and all you see are gray clouds around you. You’ll lose your bearing, you’ll lose your way and eventually get lost forever. The force called Satan (the opponent) will create all kinds of turbulence and storms along this path to try to knock us off our feet. He will create arguments and debates and stories so that we focus on being right and proving someone else wrong just so that our eyes and consciousness are not on the instrument panel. We will find wrong in others using righteousness and holiness as our crutch and motivation. We will try convince others of our viewpoint and opinions and wisdom. The Opponent will even allow us to be right. In fact, he often manufactures situations to ensure that we ARE right. This way, we are busy arguing and proving our point, feeding our ego, for all the right reasons, instead of keeping our eyes on the instrument panel and finding ways to combat our ugly egos so that we are flying in the right direction. When you want to quit the path, put your eyes back on the instrument panel. Ask yourself some questions. Will quitting nourish my ego and give me relief and feel better about myself and my opinions? Of course it will. Ask yourself: If I stay on the path, and swallow my pride, and let go of my judgment and the concepts of right and wrong, will that hurt my ego or tickle my ego? You can be sure it will hurt like hell. But you will know what you have to do, provided you have the courage and guts. What will hurt and bother my ego the most? This is the only question we must ask when looking for direction and guidance in every situation we confront. These are the only readings we must make when navigating this path of Kabbalah and this world if we want to become beloved students of the Rav and Karen, and race to the goal of Redemption with mercy instead of judgment. Asking this question should be the automatic default position we fall back on when we feel lost, confused, unsure, uncertain, mad, angry and doubtful. Find your ego when you are certain you are right. Find it when you are positive that you know better. Seek out the ego when you are convinced the other person is dangerously wrong and give up trying to win the argument — even you ARE right. Always pull back from these types of distractions and focus on what will absolutely hurt your ego the most. It’s not how many years we’ve been on the path that count. If there is minimal change and pain on the ego, there is minimal progress towards redemption despite all the years of hard work. A person can climb Mount Everest. That is one heck of a difficult task that only a few people in this world are able to achieve. But when a person gets to the top, the human ego is the same one we had at the bottom. So hard work and great accomplishments in this world are not the measurements and readings that we use determine where we are on the path to the Messiah or our closeness to the Rav. If we truly want to see the end of death—which is an unthinkable and crazy sounding objective—then we must endure an unthinkable and a crazy amount of pain on our ego. There is no other way. None. The Messiah is not going to walk through the door because we worked hard. Or because we are loyal. Or because we are smart. Or because we put on tefillin or wear a certain type of religious garment. As Rav Ashlag said, if we focus on the external actions and deeds, without focusing on losing the ego and experiencing that terrible pain that comes with it, then the Torah and all of its precepts will become the drug of death. So we might be right about how to perform a particular precept, but we are bringing death and darkness into the world because our ego was in the mix and not the focus of our work. We might find fault in others, but we are creating darkness through our deeds. The Torah becomes the drug of death when our ego is hidden in our actions. This is what Rav Ashlag teaches us. The Torah is not the goal. The Torah is a means to an end. The end of ego. If that goal is not firmly planted in our consciousness in every action, the Torah becomes death. The true transformation of the world into authentic happiness, peace and immortality will only happen when a critical mass of ego has been diminished. And the pain to diminish that amount of ego is unthinkable and unimaginable and unbearable. That’s why it has not happened yet in over five thousand years. Men throughout history, and up to this very day, would rather die than lose their ego. It’s practically impossible to lose it all. But that’s the price we must pay for immortal existence. But, if a lot of us share in the work and share in the pain, we can diminish the pain that we experience. And when we compare six thousand years of unbearable pain on ego, to an eternity of happiness and joy beyond what the human mind can now imagine, those six thousand years are less than a nano second. In fact, next to eternity, six thousand years is like zero. However, the Creator calculated that this is enough time to evolve the consciousness necessary to appreciate the never-ending joy that is our destiny and to remove Bread of Shame. In other words, its enough hard work so that we can feel that we had a solid hand in creating the paradise. Either the ego dies or the body dies. The body has been dying since dawn of human life. So now it’s the ego’s turn. But the Opponent is brilliant. He is clever. And guess what? Rav Berg told us for years that the Opponent is more loyal, harder working and more intelligent than all of us combined. That’s the real reason why we cannot use those traits and techniques to defeat him. It will never happen. When we think we are so smart and even smarter than the Opponent, that’s him convincing us that we are smarter than him. How brilliant! And he has the power to nourish us with temporary Light, tickling our ego to help convince us. Talk about a difficult and monumental challenge. Our only guideposts for determining which way to go is to ask ourselves, what will truly and genuinely, hurt my ego more. If we choose, purposely, to make the wrong move in business, because that incorrect move shatters our ego, Rav Berg says, in the long run, not only will we ignite Light by hammering our ego, but the wrong move will turn out to be the right move in the long run. But we will never, ever see that in the moment. We are not allowed to. If we saw the outcome, we would have ego. Again, the only question to ask in every situation, not just some situations, is this: What hurts my ego the most? Then do it. And remember, the Adversary will try to convince us that we are hurting our ego. He will use self-righteousness to convince us that we are nothing and worthless and humble and meek. But that is also a trick because the ego lives at both ends of the spectrum. In other words, the ego makes us think we can do no wrong. But then again, the ego can convince us that we can do no right. The ego can make us feel arrogant and smug and smart. Or it can make us feel worthless, with low self-esteem. So how can we know if it’s ego tricking us or if its genuine pain we are feeling? Ask a friend who you’re jealous of to tell you what they think of you and tell you what is wrong with you and then tell you what you have to correct and what the hell it is that you are now doing wrong. Then listen no matter what. The answers that are hardest to hear and accept are the truest answers. The answers that you reject outright are pure Light. And the answers you don’t understand, are also the Light. But the answers that you can easily accept with your intellect, well, they are pure nonsense. There is a sense of self-righteousness when we say we are nothing and we point out our own ego. That doesn’t count. You know its true ego when it hurts like hell and every bone and nerve-ending in your body is compelling you to reject and deny it! There is a tremendous and profoundly simple secret of Rav Berg’s that I shared in Gerona, Spain and then in London that concerns certainty. Here’s the secret: You, I, and everyone on earth already has the perfected power of absolute certainty. Really? Absolutely! The problem is, we have certainty in our doubts. We have certainty in the lies that our ego tells us. So certainty is not the real problem here. Achieving certainty is NOT the goal of the Kabbalah Centre, when we go deeper as Rav Berg explained. If there were no Opponent/Ego in our consciousness we would have no more doubts. Guess what? At that moment (follow this one carefully) our innate power of certainty would then bring paradise into existence at once because we would no longer doubt paradise. All we would see in our mind’s eye and in our imagination are the ways to achieve happiness and goodness. All we would see are the ideas that generate untold contentment and pleasure and bliss. But when the opponent is in our minds, we see everything that causes chaos and darkness and thus, our certainty brings that reality into existence. We doubt paradise so we delay it with our innate certainty and mind over matter. We believe matter is more powerful so our certainty hands that power over to matter the moment we believe it. Because the Opponent is embedded into our consciousness our certainty brings forth the reality that the Opponent wants. Welcome to planet earth; a place of darkness, famine, poverty, genocide, homicide, drug addiction and death. 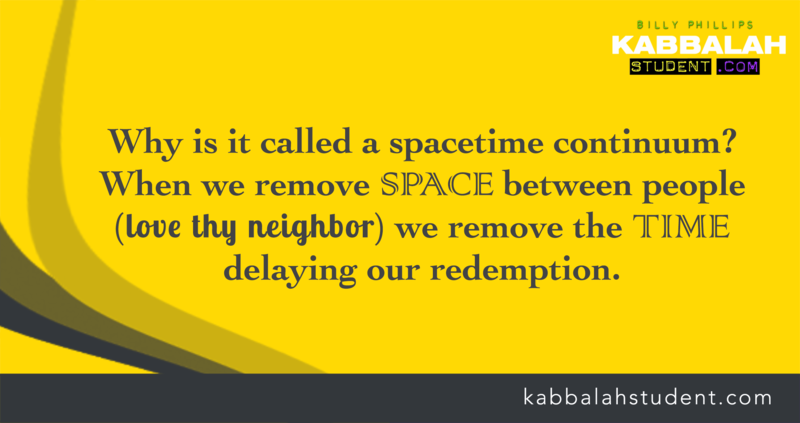 This is the ultimate reason for focusing totally on the eradication of our ego as the sole work of Kabbalah Centre. Once it is gone, paradise arrives through the power of our dreams through the power of our minds. Yes, it’s that simple. But surely not easy. If you want to believe the image and the evidence and all the proofs and illusions that the Opponent conjures up in that head of yours, you will be right. And just like that, the Opponent wins another round. The Israelites saw Moses dead on Mount Sinai and that is why they built the Golden Calf. Yes, the Opponent called Satan was allowed to create an illusion, as real and as tangible as the room you are sitting in right now. The Opponent created a reality where Moses was dead and the Israelites witnessed it. Suddenly they lost certainty in the immortality that Moses brought to Sinai and that is how they blew it on Mount Sinai. All they had to do was retain certainty in immortal existence and certainty in Moses. If you saw a friend or loved one (G-d forbid) dead, are you going to say it’s an illusion? Of course not. No way on earth. So what were the Israelites supposed to think when Satan conjured up a vision that showed the physical body of Moses dead and ascending to heaven. Keeping certainty in a moment like that is a near impossible task. But if you want to truly end the logic that is death and the logic that governs this physical world, we need certainty beyond logic. Otherwise, we stay in this logical world of darkness and we can be right every moment of every day in every argument, fight, debate and situation that we face. And we can remain in darkness and death and hurt. This is why the Israelites were first shown the miracle of the Red Sea and the miracles of the Ten Plagues. To build up their certainty in the power of the Light and Moses as their channel. As the Rav often said, “How stupid are we, trying to be right and believing what the Opponent shows us.” We make the same mistakes. We have seen miracles at the Centre. We have seen priceless blessings in our lives. And then, when the first storm comes, or a storm comes thirty years later to rock our world, we take our eyes of the instrument panel, of the ego, and we panic and plummet towards to earth headed for a crash landing. Certainty beyond logic is achieved only if we can always say and live the words “No Matter What! Ya, but I just heard and I read and I even saw that — NO MATTER WHAT! There is no exception. None. Strike the word “but” from your vocabulary. And now, armed with this wisdom and the instrument panel, you can try to see if you are a close and beloved student of Rav Berg and Karen Berg and if you are pushing this world and yourself towards a final redemption—or delaying it. But only if you have the guts and courage to be honest with yourself. Please share this with as many people as possible. Go the extra mile so it reaches as many people as possible, including students and teachers. It’s time to get our eyes back on the instrument panel so that we can navigate safely along a path to a peaceful and final transformation of the world. Amayn!!! No matter what we must actualize the Redemption! We must actualize peace, unity, and harmony! The only thing delaying it is our own doubt’s! Thank you so very much Billy. All the blessings, love and light. Also, I appreciate how you add “News & Views” instead of “Articles.” I’ll read it again, & again and I find a “New” message and “View” it “Ahah!” with a different perception.